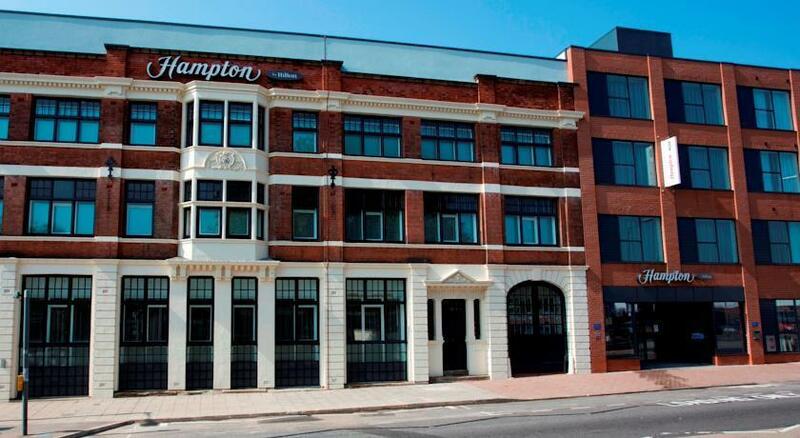 Enjoy a great base in Birmingham's Jewellery Quarter when you stay at Hampton by Hilton Birmingham Jewellery Quarter. 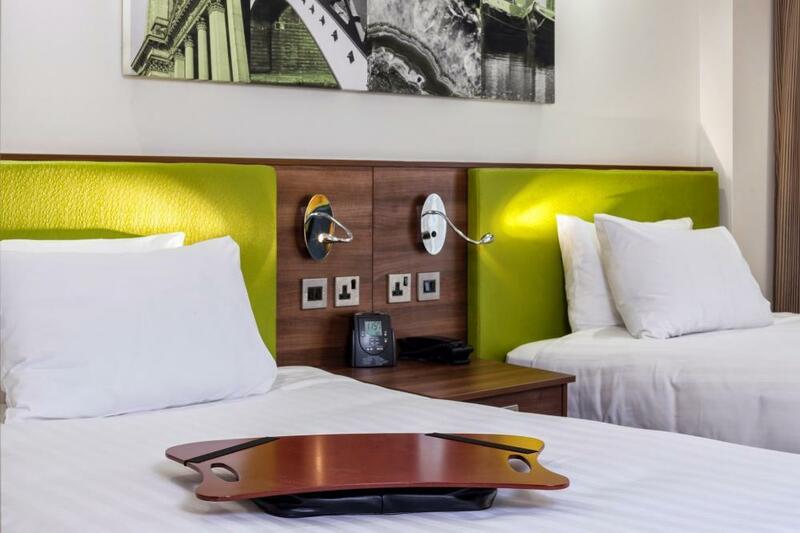 Close to the M5 and M6 and just moments from St. Paul's Tram Station, this modern hotel offers easy access to a wealth of Birmingham attractions, including the International Convention Centre and the National Indoor Arena. The kids will love spending the day riding roller coasters and visiting the zoo at Drayton Manor Park. Nearby Cadbury World is a must for chocolate fans and thriving Broad Street is just a 10 minute walk from the hotel, offering a huge variety of entertainment and nightlife options. 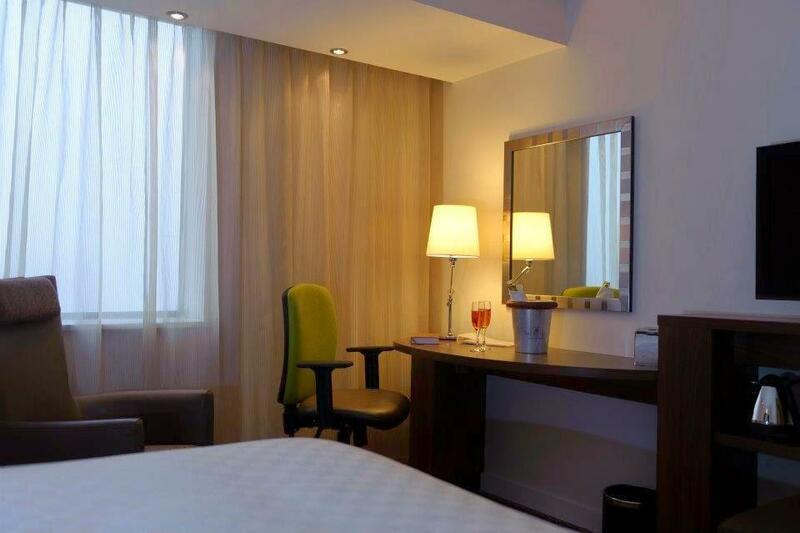 Return to your cozy guest room and sleep well on the comfy bed, surf the web with free WiFi or watch movies on the HDTV. 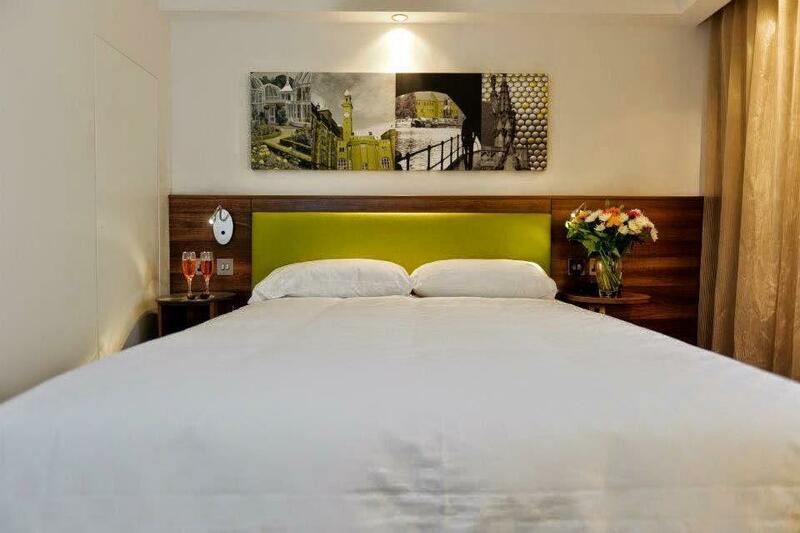 Work in comfort at this Birmingham hotel with our 24-hour Work Zone and flexible board room. You can even work in the privacy of your guest room with the handy lap desk. Work out in the free fitness room before enjoying Hampton's free hot breakfast at the Hampton by Hilton Birmingham Jewellery Quarter. Our tempting buffet selection is filled with your favorite hot and cold breakfast items.